This is the first in a series of occasional interviews in which I'll profile interesting figures involved in the indie author movement. First up is author and blogger, Moriah Jovan, best known as "MoJo" in the online community. Her new novel, The Proviso, is now out in ebook and paper. In the interview, Jovan speaks candidly about her journey as a writer and her decision to take control of her writing career as an indie author. The interview was conducted over email. The parenthetical comments are her own. [Mark Coker] - MoJo, your name keeps popping up as an active player in the emerging indie author movement. 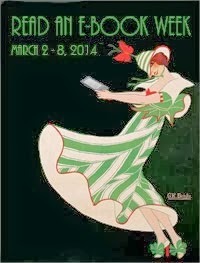 What drove you to become an indie author, and what does the movement mean to you as an author? [Moriah Jovan] - I never intended to set up shop as an independent publisher. I have three good books on my hard drive that I wrote in the mid 90s. Two of them got an agent (two different ones, mind). One of them prompted a phone call from an editor on a Saturday morning asking me to overnight the complete manuscript to her; I did. Tuesday morning, she called to tell me she just didn't like the ending. I offered to rewrite the end (at once prove to her I was easy to work with and that I was versatile), which she declined, saying, "No, it would destroy the book." Another of them prompted a similar scenario, except the call was to tell me that she'd bought something somewhat similar to mine the month before and, while mine was superior, she couldn't justify it to her editorial board. I had other, similar, close calls like that. The third didn't make it past my agent; that was in 1998. There's something far more heartbreaking about being thisclose than not close at all. I gave up. I stopped writing altogether. I left RWA (Romance Writers of America) and my critique group. Too, I thought my "well" had dried up. Life intervened. When we moved, I saw all my old manuscripts as dead weight and I burned them so I wouldn't have to cart them across town. I pretty much forgot about writing, publishing. I didn't read much, either, particularly romance. In the meantime, I'd been subconsciously stewing on a project since 1995 (that I used for my final project before I could graduate from college) and couldn't reconcile the plot or anything else about it that I wanted to do. In August 2007, after a particularly grueling month of work, I did invoices and found myself spiritually and physically exhausted. I wasn't sleepy, though, so I did something I hadn't done since I stopped writing: I read my own work from so long before and it was like reading the work of someone else. Yeah, it needed some polish, but it was good and I was heartbroken that I'd given up on myself. I woke up the next morning with that plot problem from 1995 nearly solved. It involved cutting a few aspects of it and refining others, but I was willing to do whatever it took to whip it into a reasonable shape. I went back and looked at my early notes and saw what I had originally intended, which I'd forgotten. I wrote a 1,200-page draft in two months, then I started researching the market and I was shocked at the changes, at the level of competition, at these e-publishers (i.e., in 1995-speak "not legitimate" and "self-publishing excuses"), and then at the fact that I certainly wasn't going to be able to shop a 285,000-word manuscript and expect to get anywhere. I tried anyway, with the expected results. I tried splitting the story out into the three separate story lines that comprise the arc and selling it that way, but that didn't work either. It's not a trilogy and none would stand on their own. My husband was the one who urged me to self-publish first. I began to play around with cover art. Then I began to play around with interior book design. Then I took my dilemma to my business friends, who echoed my husband, once they'd made me break down the pros and cons of it. To people who are not writers struggling with queries and the submission process, the fact that this isn't an acceptable DIY project (and the active [rabid] social conditioning to discourage it) is a foreign concept. When I further go on to explain the consignment system, what it means to be self-published, they're horrified. Every business person I talk to who doesn't know anything about how book publishing works is flabbergasted. Anyway, I seriously started to consider it. It wasn't that I didn't want my baby circumcised by an editor. It was that there was noone willing to take a knife to it unless I paid them. I didn't know it at the time, but once I started experimenting with my own designs (and getting relatively decent at it), I had already made the decision. At this point, I don't really see myself as an independent author/publisher. I see myself as a business owner with a really different product to sell and, I think, a good product. NY publishing has taken up residence in my subconscious as simply another way of getting product out to the public. It is neither bad nor good; it just is. An independent author has to acknowledge that reality, yet be willing to operate outside it as if it didn't exist. The independent publishing movement is to me as This Old House and Home Depot were to the DIY handyman who had skills but needed more than your basic lumberyard and hardware store. Most home DIYers know they either can't or shouldn't mess with plumbing and electricity. Some are willing to learn, experiment, fail or succeed at plumbing and electricity, but those are rare. With the appropriate instructions and tools and materials, provided you don't mind the learning process, you can do pretty much everything else yourself. You figure out pretty fast if you're not cut out for it. Demolition, insulation, sheetrock, moulding, tile . . . if you're careful and follow instructions and know when to farm out which tasks, you can do a decent job on your own for a lot less money. In the case of books, the technology had to change. While I was living my life and not thinking about writing and not reading my work and with no sudden plots coming into my head I just HAD to write down and develop, it passed me by. I haven't fully caught up yet. [Mark Coker] - You recently published your debut novel, The Proviso, on Smashwords. Tell us about the book. [Moriah Jovan] - In the simplest terms, it's a riff off Hamlet. I leave out most of the characters in the play, but I've left the themes and the pathology of Hamlet intact, with some deliberate twists informed by critics like Asimov and Updike. Two of the three main characters together function as the Horatio character; their individual stories are told within and help advance the bigger Hamlet arc. The end does deviate somewhat from the original. [Mark Coker] - Your Smashwords book page features a cool YouTube book trailer for The Proviso. For the benefit of other indie authors who want to do the same, can you share how you created the video, the process and the tools? [Moriah Jovan] - Honestly, it wasn't difficult nor expensive, and I credit both RJ Keller (another indie author who had just posted a couple of really good trailers for her book, Waiting for Spring, on her blog, for giving me the basic information and Samantha Quant (who posted the first review of my book), for helping me out with my music editing. The first thing I had to know was this thing called Windows Movie Maker, which I didn't even know was on my computer. It's idiot-proof. Really. The second thing I needed was images and music. Now, lemme tell ya. The image part was fairly easy as long as you're willing to spend HOURS combing through stock images for just the right ones (though it took me a long time to find a strawberry blonde with a 9mm in her hand). It's the music part that'll kill you. A lot of the royalty-free music out there is just awful and I didn't really want to wade through all that awfulness, so I went with something in the public domain, which is fairly familiar to everyone (even though almost no one knows what it's called). That piece is a recurring sexual theme in the book, so it fit that way, too. The third thing I needed was to create the text panels, which I did in Photoshop. The fourth thing I needed was to edit the music to fit the slides. I downloaded AudioEdit Deluxe and found it intuitive enough for me, a super-noob audio editor, to get a good clip. Put it all together, and there it was. It was way out of my comfort zone, so I'm very pleased it turned out as well as it did. [Mark Coker] - How did you discover Smashwords? [Moriah Jovan] - I heard about it from a few Smashwords authors, actually. First was Eugene Woodbury, who has an excellent, excellent book out, Angel Falling Softly. Next was Zoe Winter, who published a clever paranormal romance on Smashwords, Kept. RJ Keller, whose book was previously available free but in PDF (I won't download PDFs unless I'm desperate to read the story), had decided to put her Waiting for Spring on Smashwords to make other formats available. The person who finally convinced me to do it was Aaron Ross Powell, whose The Hole I really wanted to read, but it was previously only available via Kindle. He put it on Smashwords and I downloaded it posthaste and then decided to give Smashwords a whirl myself. 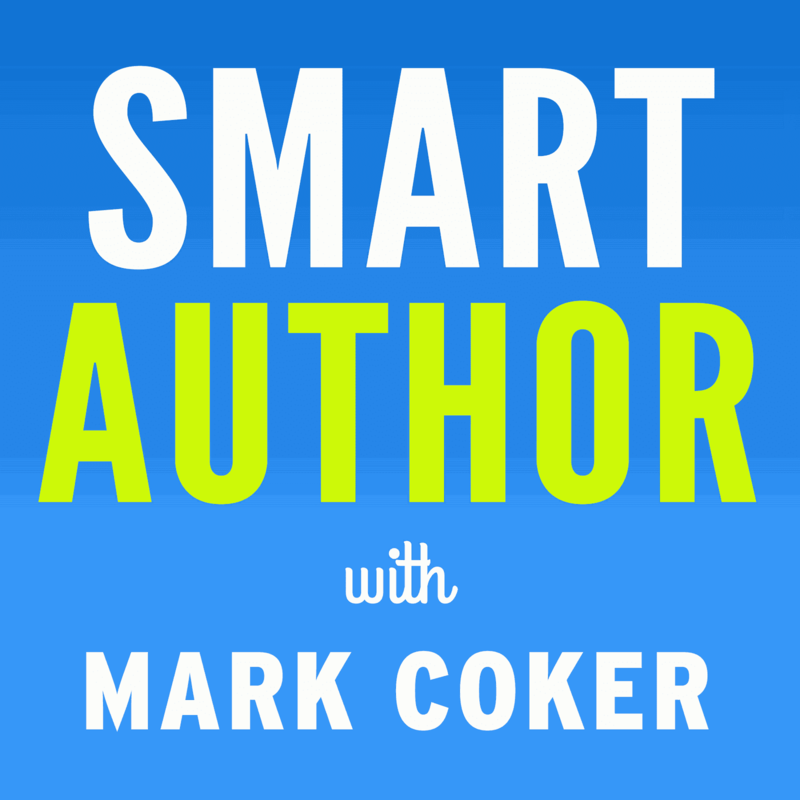 [Mark Coker] - How do you see ebooks fitting into the overall publishing strategy of indie authors? [Moriah Jovan] - I think it's important to exploit every revenue stream available to you and thus, have a working familiarity with your options: print (made easier by print-on-demand technology), e-books (as many formats as possible), podcasting (which I shall be dipping my toe into in the future), audiobooks, serialization (via zines, blogs, internet radio), and others I haven't thought of. E-books scratch the instant gratification itch most Americans have, and they make your work available to the rest of the world that it wouldn't have otherwise. E-books figure perfectly into the lives of the next generation who is and has been reared with a keyboard under their fingers, reading off of a computer screen. They are the future consumers of e-books, whether independently published or not. They are already used to getting their information/entertainment digitally; they are comfortable with fanfiction and other content that have no ties to the NY publishing model; and they have no concept of the NY publishing model as the accepted practice of dissemination of information. They are the ones we prepare e-books for, as they will be reading e-books almost exclusively and, no doubt, they'll take e-books in another direction entirely. [Mark Coker] - Thanks MoJo! Hey Mojo, Great interview! And thanks for the shout out! Tom has really encouraged me with the indie publishing thing as well. In my case it was my idea to pursue it and I was a little hesitant to lay the idea out to Tom, wasn't sure how he'd take it. But he was really really supportive. He's been around a bunch of the more successful podcasters online and he's familiar with the new media, so to him indie publishing makes more sense than trying to get an agent. He was supportive of me back when I thought I wanted to try to get an agent, but he's been really on board with this. Great interview. I loved reading about how you picked up your book again after so many years and felt like you were reading the words of someone else. And, as someone who loved The Proviso, I'm glad you dusted it off and started believing in yourself again. Thanks for the mention, too. Now that I've got the hang of doing it, I'm finding that making book trailers is my favorite part of marketing. Time will tell if it helps out in sales and/or downloads. One thing I did forget to mention. The one editor who requested a full of THE PROVISO said, "We like it; we just don't know where to put it." So while my husband and friends were encouraging me, and I had already made an unconscious decision to self-publish by fiddling with cover art and interior design, that was what really cemented it for me. Gah! I hate when editors and agents say that. Baffles the mind! Great interview, Mojo. It's always awesome to hear when authors don't give up and keep going for their dream. And you have a beautiful product to show for it!